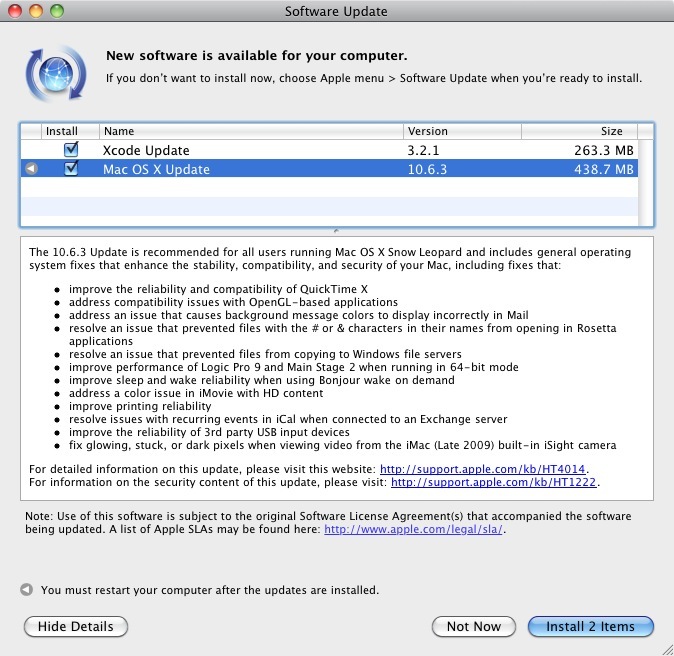 Apple has today released the latest update to the Mac OS 10.6 Snow Leopard operating system. The screenshot above covers the components that have seen upgrades, mostly bug fixes and performance improvements. I’m making backups on my main hackintosh at the moment so the next post will cover how successful the update to 10.6.3 was.